“Next generation” of Resolute leaders meet in Montréal for two-day event. 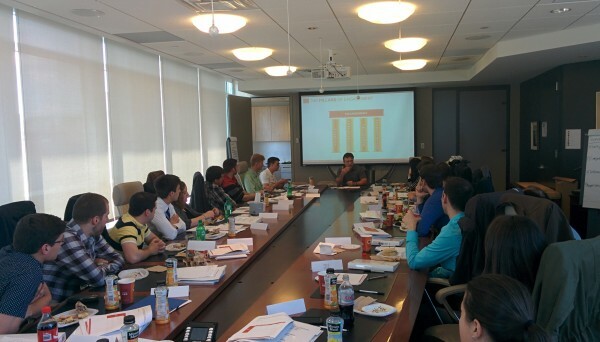 Resolute headquarters in Montréal recently saw a brief influx of new faces, as 22 young employees, all graduates from engineering programs and all currently working in our operations in Quebec, Ontario and the U.S., met up for a two-day leadership training and networking event. 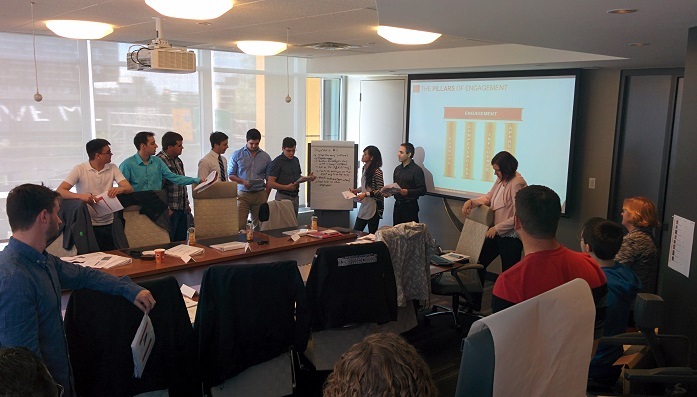 It’s all part of a leadership program we developed to help engineering graduates gain valuable management training. In fact, since we started the program two years ago, some participants have already taken on management roles at their operations. It’s an intense training program designed not only to align what we think of as the potential next generation of leaders, but also to allow them to build a network of peers and to get some face time with the C-suite. When they weren’t in session learning about operational excellence and discussing continuous improvement and root cause analysis, the group had a chance to meet and chat with Richard Garneau, Resolute’s President and CEO, Richard Tremblay, Senior Vice President, Pulp and Paper Group, as well as a number of other operational and senior VPs. Many of the engineering hires in our operations will begin their work learning about mill systems and then go on to lead small projects. The leadership training offered focused on building credibility by influencing others. This is the kind of valuable, real-world skill that will help them succeed at getting things done to become a key part of our continued success as an innovative company in the forest sector. For more information about the internship program or to learn about “Jobs where you grow,” visit the Careers section of our website. Photos: 1. New mechanical, electrical, chemical, industrial and forestry engineers from our operations take in leadership training at Resolute’s HQ. 2. Resolute’s Senior Vice President, Pulp and Paper Group, Richard Tremblay, meets with the company’s next generation of leaders.